Looking to give your old carpeting a makeover? Get a free carpet estimate scheduled with The Carpet Guys and start renovating your floors today. Getting new carpet installed is one of the best decisions you can make for your home. With a professional installation from The Carpet Guys, your carpeting will look good and last for years to come. 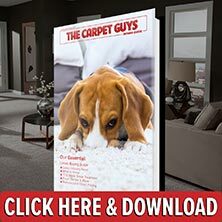 Our shelves are stocked with the most popular carpet styles available, and we get our products directly form the flooring manufacturers themselves. If high quality carpet is something you are looking for, we have it here. Don’t spend any more searching through the long list of carper dealers. Get your carpet installed by the best carpet company in Scio. Frieze Carpet – This style is the perfect fit for any room decorated in a casual and informal look. The tightly twisted fibers offer a great sense of personality and flair. Berber Carpet – Our berber is a very durable and sturdy carpeting. It is a great choice for any home that experiences a lot of foot traffic. Plush Carpet – A rich velvet-like plush will make any formal and sophisticated setting look complete. It is also a great choice for those who like to lounge around on the floor. Looped Carpet – The multiple styles and colors this carpeting comes in allows it to fit well with almost any decoration. Add a little extra interest underfoot with our looped carpeting. Ready to get the new carpeting you want most installed in your home? Book a free estimate with The Carpet Guys and get started today!